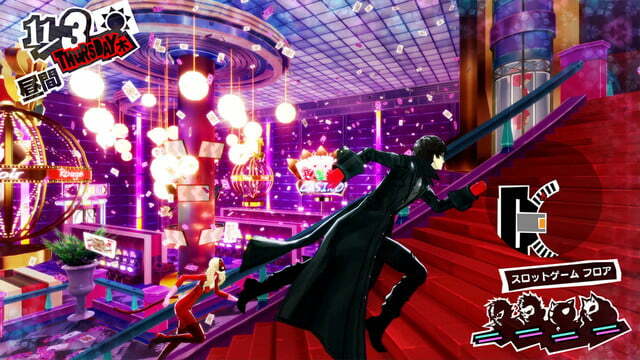 Persona 5 is a messy, stylish hodgepodge of game genres and Japanese culture that blends into something special. There’s an expansive series of Japanese role-playing games (JRPGs) called Shin Megami Tensei that’s been going strong in Japan for the last three decades. Few of the games that fall under the SMT umbrella have cracked into Western markets, the exception being the Persona series. Persona began developing a cult following with Shin Megami Tensei: Persona 3’s gradual global release between 2006 and 2008. 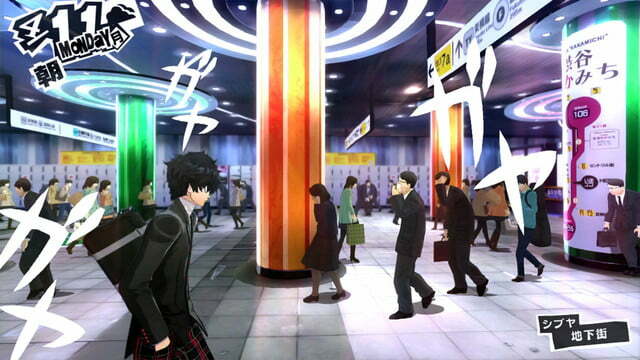 Like past entries in the series, Persona 5 is really two games. On one hand, it’s a Japanese role-playing game with traditional turn-based combat, a creature collection system reminiscent of Pokémon, and many of the features you’d expect to find in a Final Fantasy or Dragon Quest game. The other side is more like an interactive visual novel or “dating simulator,” game genres more popular in Japan than in the western world. As a high school student living above a cafe in Tokyo, you have to choose how to spend your limited time, juggling social and romantic relationships with studying, shopping, working part-time jobs, and more. Somehow, this combination works. From its addictive combat system to its stellar localization and the inimitable sense of style that holds it all together, fighting lecherous teachers and dirty politicians with your super-powered friends fits hand-in-hand with taking tests and going on dates with your high school sweetheart. 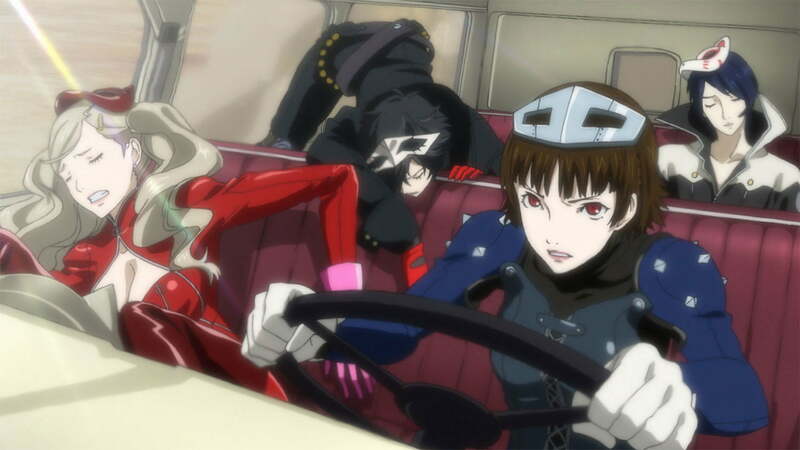 Persona 5 hasn’t reinvented the wheel, but it has everything fans have grown to love about the quirky series. And while it’s story falters at times, in many ways, it is the best Persona game yet. 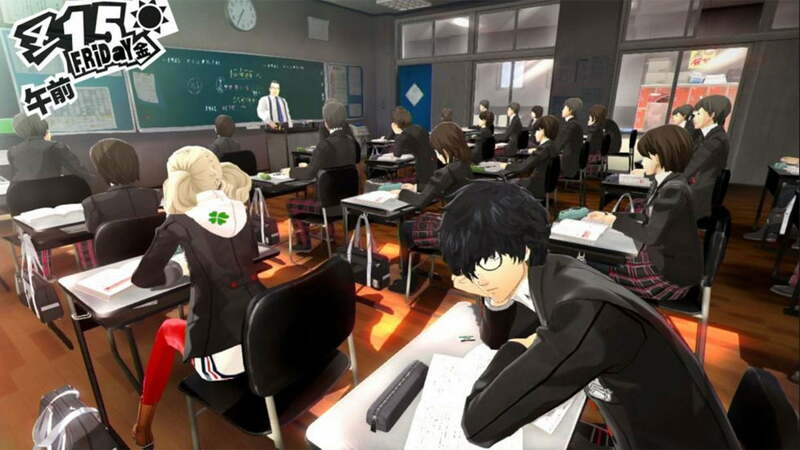 Persona 5 follows a nameless protagonist, a high-school-aged boy forced to change cities and schools when he crosses a powerful man and finds himself on the wrong side of the law. Considered a social pariah, even by his caregiver, he discovers a mysterious phone app that sends him to an alternate dimension formed from people’s cognitive identities — their thoughts and subconscious traits, exposing some nefarious behavior from many of the authority figures in his life. The hero gathers a Breakfast-Club-esque group of high-school students, who call themselves “The Phantom Thieves,” and dedicate their days to exposing the crimes of unjust adults. 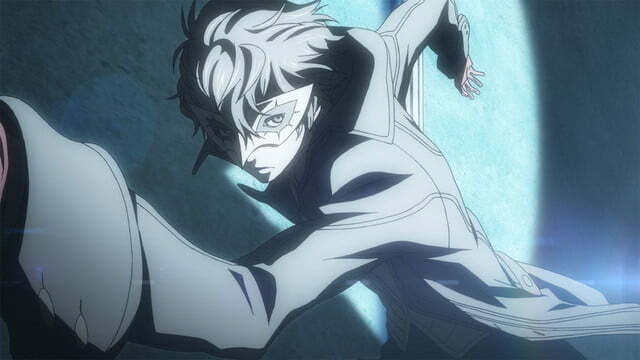 As in past games, every mechanical aspect of Persona 5 serves to bring the game’s story — a longform account of crime-fighting high-school student — to life. Mechanically, the game is a messy hodgepodge of genre-specific features and story elements, which find a balance because every element is filtered through the narrative. 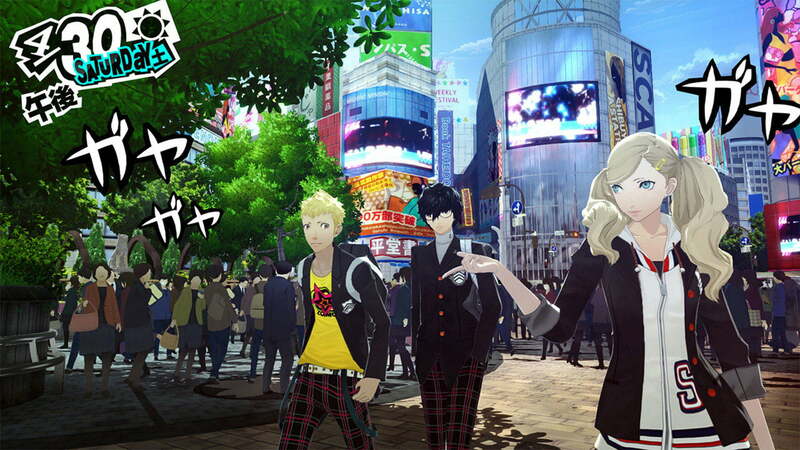 Even more than past Persona games, your “social links” — the people you can choose to spend time with, including teammates and other contacts around Tokyo — provide tangible benefits for combat and exploration. Spending time with the doctor, for example, can give you a discount when buying medicine, while a skilled gamer or a professional shogi (Japanese chess) player can give you new abilities to use in combat. Choosing how to spend your time is a huge part of the battle in Persona 5. The game unfurls as the literal day-to-day life of a Japanese teen. During the day you go to school, where you answer math and history questions to attempt to raise your “knowledge” stat, which has its own set of benefits. You have most afternoons and evenings free to spend as you like — hanging with friends, doing various activities to raise your stats, or heading into battle. All the while the clock keeps ticking, each new day another step closer to the end. 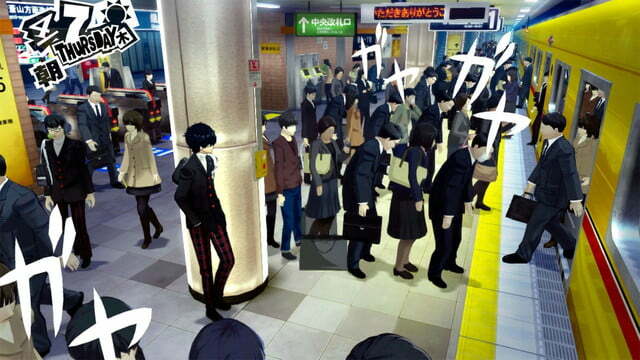 The accessible map, represented by colorful subway lines, expands continuously as you go, and your options can feel overwhelming: Will you hang out with a fellow Phantom Thief in the hopes they’ll gain new combat abilities? Will you pray at Meiji Shrine, visit a maid cafe (distinctly Japanese! ), or practice at an arcade in Akihabara or Shibuya? Will you learn how to make better coffee from Sojiro, or hit the bathhouse for some much-needed chill time? Or will you head into the “cognitive world”? The Phantom Thieves are never short of targets, from an artist who plagiarizes his students’ work to a scammer taking advantage of the elderly. The game’s story tracks a series of targets, each with his or her own “palace,” a complex dungeon in which their “distorted desires” manifest as twisted versions of real world places. The teacher thinks the school is his castle, thus in the cognitive world it is one — with him as its tyrannical, perverted king. There’s a deadline to take down each of these targets, but you’re mostly free to spend your time as you please, while the story progresses in chunks. 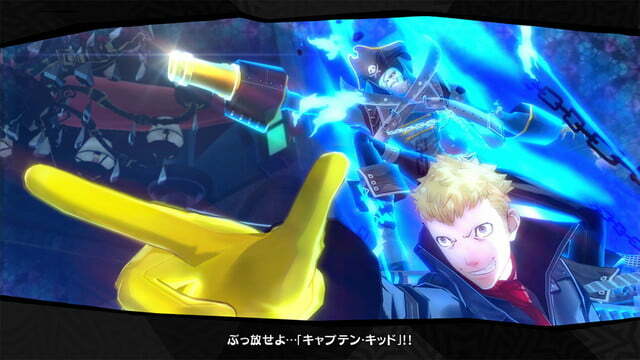 Meanwhile, you can take on smaller targets in an area of the cognitive world called “mementos,” a continuous dungeon filled with randomized environments and enemies. In previous Persona games, this type of randomly generated dungeon was a huge focus, but they have been relegated to a side activity here. The boring, repetitive dungeons of Persona 3 and Persona 4 were possibly the series’ biggest weakness up until now, so add that to the list of the many ways in which Persona 5 improves on the formula. All the while, the clock keeps ticking, each new day another step closer to the end of the semester and the game. You probably won’t have enough time to max every social link or defeat every target, and you’re not supposed to; Persona 5 is about making choices. Your game is defined by the people you do spend time with, the bonds you forge, and the experiences you have. While the experience does not allow for the same freedom as an open-world game, where each player’s experience is totally unique, the choices you make in Persona 5 feel important. Every free time slot can be spent with any number of friends or acquaintances around town, from teammates to a drunk reporter or a washed up politician, and the benefits vary wildly depending which social links you focus on. More importantly every one of these characters feels memorable. To be fair it probably makes it a little easier to write three-dimensional characters when know the player is going to spend 100 or more hours with them, though Persona 5’s writers faced plenty of other unique challenges. The localizers — writers responsible for translating the script and, in many games, adapting certain story elements for non-Japanese audiences — faced a gargantuan task here, and their work is no less than stunning. 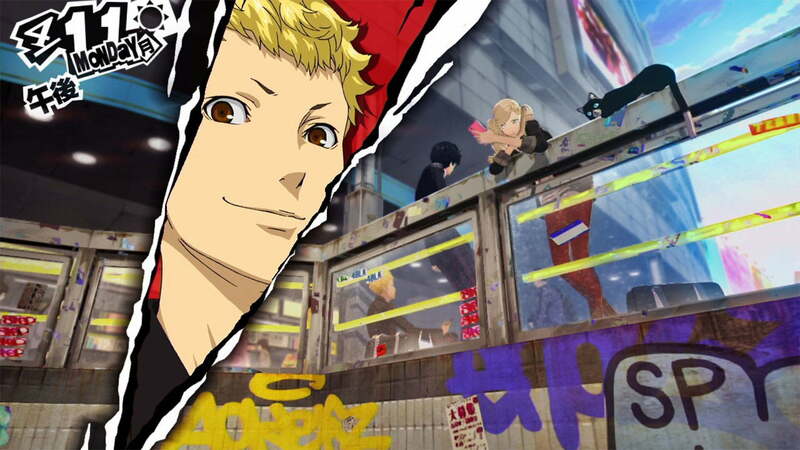 Persona 5 looks and sounds fundamentally Japanese, from characters’ names to cultural references. It doesn’t feel like it’s been dumbed down or compromised to appeal to a wider audience. Many of things that make Persona 5 compelling were present in Persona 3 or Persona 4 as well, but, mechanically, the game just feels better, and easier to handle. Many of the games biggest improvements technically amount to simple “quality of life” changes — game developer speak for small improvements that make a big difference. When walking around Tokyo, for example, you can easily open the map to check which social links are at what locations, then easily fast travel directly to them. Friends and contacts who want to hang out will often text you directly, making your life a little less stressful as you deliberate what to do with your time. 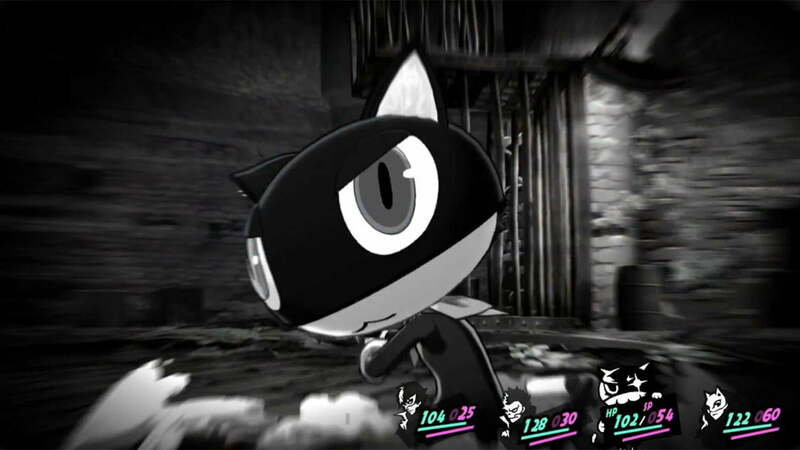 Similarly, P5 retains its puzzle-style fighting system, which focuses on discovering enemies’ elemental weaknesses, but now once you do, you can tap a button to have the game select a good move for you, saving time. New abilities let you pass your turn to teammates to set up strategic timing, or even swap teammates out in the middle of battle. Plus, you now gain new personas – magical spirits that grant your main character more powerful abilities — through a fun interrogation mini-game. The list goes on. New players will marvel at how easily Persona 5’s interface and features keep the game accessible and easy to navigate, and series veterans will wonder how they ever lived without this stuff. There is one feature the series has had previously whose absence in P5 is sorely felt: The ability to play as a female protagonist. 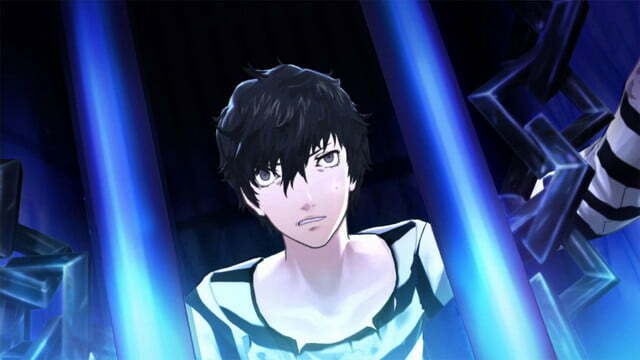 Persona 5’s story is sometimes great, but it’s also hopelessly male. For the players Atlus clearly caters to as its main demographic — dudes — Persona 5 is one fantasy after another. You may be an outsider and a juvenile delinquent, but boy are you a great guy, and Persona 5 will never, ever let you forget it. You can date all the hottest girls in school, including your teacher, who moonlights as your subservient maid. The reporter who wants a scoop on the Phantom Thieves, the fortune teller awed by your ability to alter fate, even the punk doctor who runs illegal clinical trials in her back-alley practice — every woman in town is hopeless before your titanic charms. Anime-style cut scenes, which are primarily reserved for important story moments, are also used to show off what your female teammates look like in bikinis. That isn’t the only problem with the game’s story. Telling one tale over 100 hours comes with its own unique challenges, and Persona 5 doesn’t always address them. Characters who are introduced later naturally feel less fleshed out than primary characters introduced early on. The game limits how you can spend your time in spots, which can make it difficult to advance relationships with those characters. The game ends if your main character dies, which is both stupid and a massive time waster. Of course, fighting the clock is meant to be part of the challenge, but too many valuable time slots are taken up by forced story events or, worse, nothing. Far too often, your cat, Morgana, will simply tell you that you’re exhausted and you should just go to bed. Nevermind that you have studying to do or lives to save. Give me a break, kitty. Persona 5 also struggles to land some of its bigger narrative ideas. The Phantom Thieves’ work to infiltrate evildoers’ mental worlds and steal the “treasure” driving their bad behavior, triggering a “change of heart” that turns them remorseful and generally results in them publicly confessing their crimes. Early on, the game spends plenty of time exploring the moral implications of invading a person’s mind, but by the end those questions give way to a rote “save the world” storyline. In a way, the shift seems inevitable — this game is so long, and it has to build to something. After 100 or more hours, what stakes could possibly justify so much time spent in this world? Still, Persona 5’s story is smarter and more interesting at its outset, when its stakes and themes are more personal and nuanced. Luckily, there’s some serious aesthetic glue cementing the whole thing together. Persona 5 is one of the most stylish games ever made, its every primary color pop and jazzy musical cue deliberately tuned to keep your eyes and ears happy. Super-saturated and bold, Persona 5 is Japanese anime and manga brought to life and deftly translated into video game graphics. That general sense of style is often achieved with fantastic, detailed flourishes, rather than broad strokes. Your character audibly slaps the main menu up on the screen every time you hit the options button. Different merchants have their own unique menu styles, everything pulsing and changing color and flashing across the screen like fireworks. Group attacks show a silhouette of black on red that jerk to a halt with a comic book shot of triumphant characters grinning or casually sipping tea. It’s all so messy that it should barely be legible, but everything somehow feels unified, consistent, meticulous, and, most of all, cool as hell. That extends to the music, which will stay stuck in your head long after you put the controller down. “Beneath the Mask,” composed by Shoji Meguro and sung by the South Korean R&B singer Lyn, is an easy favorite. It starts playing almost every single night as you return to the cafe, and you’ll know all the lyrics before long. There’s even an instrumental version, with the vocal melody replaced by a smooth electric keyboard, that plays sometimes during the day. But you’ll never get sick of it — you’re more likely to find yourself singing along. There are plenty more standouts — more games should have the courage to include lyrics in their combat songs (though only if they’re this good). And there’s one guitar-heavy jam that plays whenever you challenge a palace’s leader that will get you so hyped. Like so much else in Persona 5, this song’s existence is not random, and it serves the exact purpose it was meant for. 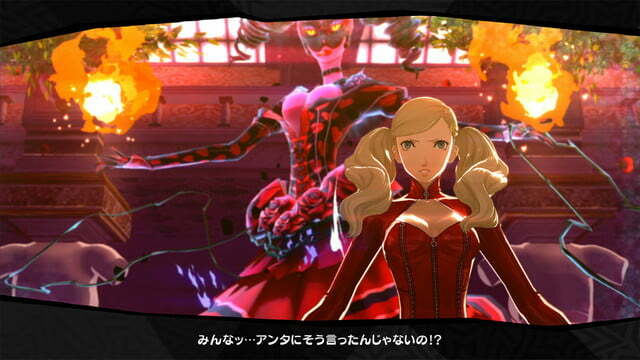 Persona 5 is massive, bold and beautiful. Though it struggles in some areas, it’s everything the series’ fans could hope for in a sequel, while making changes that make the game more accessible to newcomers as well. From its addictive combat to the incredible sense of style that pervades the entire game, the great, original aspects of Persona 5 outweigh our complaints. There are so many huge games vying for your time right now, including The Legend of Zelda: Breath of the Wild, Horizon: Zero Dawn, Nier Automata, and Mass Effect Andromeda. But Persona 5 stands apart for two reasons. First, it’s a turn-based RPG, which offers a slower pace, and a very different balance between combat and story. Second, between the Japanese cultural influence affecting its story and its unique art, the game offers a very different aesthetic experience. Persona 5 is a single player game where you won’t get bogged down in multiplayer or competitive modes, but it still manages to be extremely long. It took me around 120 hours to make it through the final boss, though it’s possible to finish it much more quickly if you don’t play meticulously. 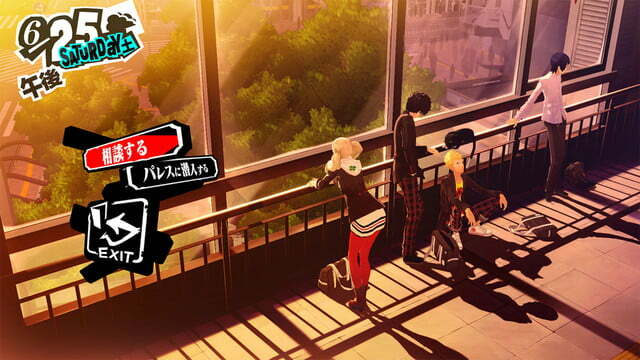 Existing fans of the series shouldn’t hesitate — Persona 5 is everything you could want in a sequel and more. It features enough small improvements that it might change your mind about the series if you’re not already a fan, though it’s still very much within the same formula. 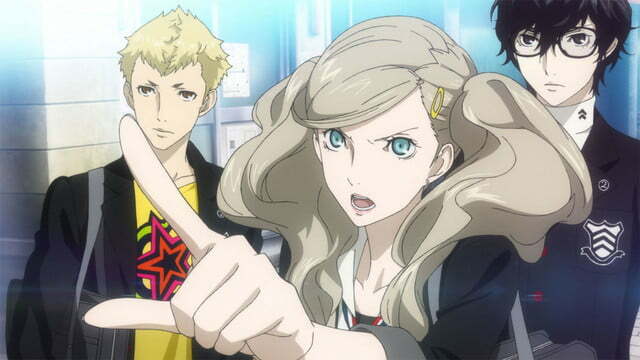 If you actively dislike turn-based RPGs, Persona 5 will not change your mind. Everyone else should try this game.